Today’s customers are more mobile, more social, and more informed than ever before. In the retail industry, these trends are transforming the way companies large and small do business — and success will depend on the ability to adapt and thrive in this new, speed-based, customer-first business environment. In this e-book, we dig into four key ways retail businesses can reimagine the consumer shopping experience. Each chapter will also feature a major retailer that has reimagined its customer experience, plus examples on how this was accomplished. 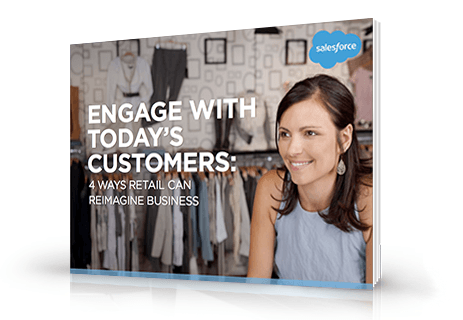 Download this free e-book today to learn how to keep pace with change in the fast-moving retail industry.